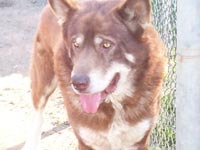 Alaskan Malamute breeders links and breed information on pups4sale.com.au. 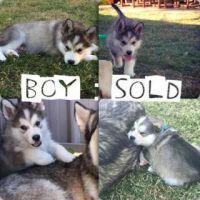 pups4sale testimonial: All my puppies have sold....thanks again...that is the fourth litter I have sold through your site. Could not be happier. A lot of people see the Alaskan Malamute and think that it is a pretty normal dog with great looks, but there is far more to this breed than that. They are extremely intelligent and will work harder than just about any other breed in existence today. Alaskan Malamutes were originally bred in the Arctic areas of Alaska and were used as both companions and to help people move around in the rough conditions. Many people think that Alaskan Malamutes and Siberian Huskies are one in the same, but the fact is that outside of them both being sled dogs, these are two very different breeds. 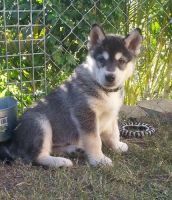 Thanks to Indianspirits Alaskan Malamutes & The Alaskan Malamute Club Of America for the pictures of Alaskan Malamute puppies & adults used on this page. Appearance: Alaskan Malamutes are large, muscular dogs which gives them a beautiful and intimidating look. They have large heads, erect ears and dark noses to keep them from getting frostbite in extremely cold climates.What makes Alaskan Malamutes so great at pulling sleds in the snow is their almost bear-like paws. They can spread out their claws to allow them to get a good grip in the snow and ice, and the padding allows them to stay upright when running through thick or deep snow. Male Alaskan Malamutes usually grow to be around 25 inches tall and can weigh up to 95 pounds. Females are generally a few inches shorter than males and weigh anywhere from 75 to 85 pounds.Malamutes have thick double coats, which allow them to survive in freezing temperatures. They usually have a mix of gray and white hair, but they can have many different combinations of colors, including red and white. Many owners end up being surprised by how outgoing and energetic their Alaskan Malamutes are because they seem like the type to just lay around when they aren't working. Malamutes need a lot of attention to stay happy, which means they need owners who have the time to both train them and to give them the exercise that they need to stay mentally and physically healthyAlaskan Malamute puppies are about as hyper as they come, which is why they need owners who know how to take care of a large, needy breed. It is important that they learn at an early age not to jump on people because they will jump up without realizing their own strength.Alaskan Malamutes are great with people of all ages, but they seem to really enjoy being around children. It is probably because of their playful nature and the fact that kids usually love to run around with them in the yard.Alaskan Malamutes are usually calm around other dogs, but they need to be socialized early to keep them from becoming aggressive. If they grow up with or work with other dogs, they do come to think of them as family members. While the Alaskan Malamute looks like an intimidating breed, it is actually considered one of the worst guard dogs. There is a much higher chance that they will try to befriend and intruder rather than scare them off. However, they are known to bark at noises around the house, so they are average watch dogs.Because of Alaskan Malamutes' need for attention, they can become destructive if they are left alone in the house for too long. They are smart, so they will find some way to keep themselves busy, which can result in ripped up furniture and a mess in every room. They can be left alone if it isn't for too long and they have gotten plenty of exercise, though. Like with a lot of other intelligent breeds, many potential owners will see well-trained Alaskan Malamutes and think that the training process is going to be simple. The truth is that smart, stubborn dogs are the hardest to train because they are constantly trying to outsmart their trainers. However, with a little patience an Alaskan Malamute can become a great all around dog.It is important that owners know how to train a breed like the Alaskan Malamute. It is easiest to train them by sticking to a training routine and to always keep the sessions positive. They want to make their owners happy, but they also want to make everything a game, which can be a bit frustrating for owners who aren't used to training this type of dog. Once an understanding between the trainer and the Alaskan Malamute is made, it becomes a much easier process. In fact, once they understand that they are learning something and it makes their owners happy, they seem to pick up on the following commands much quicker. Alaskan Malamutes simply do not like to sit still until they have released all of their pent up energy. This means that they need to have owners who have the time and energy to keep this breed happy, which, to be honest, isn't everyone. The ideal situation for an Alaskan Malamute is a place where they can get at least an hour of walking and running per day, along with plenty of playing inside and outside of the house. Not everyone has this type of time to spend with their pets, which is why Alaskan Malamutes aren't always the best fits for many potential owners.While an Alaskan Malamute doesn't have to live in a huge house with a big backyard, they do need the space to stretch their legs throughout the day. They are best for country living, but they can live in the city as long as there are plenty of areas where they can get fresh air and run around with their owners. That thick double coat that Alaskan Malamutes have is great for them to deal with rough climates, but it is tough on owners because it needs to be brushed regularly and it will still shed at least a little bit around the house. If owners forget to brush their Malamutes regularly, that hair can get absolutely everywhere and can be difficult to clean up. One of the great things, grooming wise, about Alaskan Malamutes is that they are like cats in the way that they keep themselves clean. This means that owners very rarely have to bathe their large Malamutes.Other than keep their coat in order, all of the other grooming needs of an Alaskan Malamute are pretty much the same as all other breeds. They need to have their nails trimmed if they get too long, their teeth cleaned regularly, and ears and skin checked for ticks and other issues about once a week. Alaskan Malamutes are very healthy dogs, especially when you factor in that they are large dogs. They actually aren't prone to any significant health issues, so as long as they are taken care of properly throughout their lives, they will usually live between 12 and 16 years, and sometimes longer. 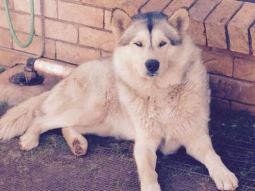 Like all other large breeds, it is not uncommon for Alaskan Malamutes to have to deal with hip dysplasia and other bone issues later on in life. A good diet and the right amount of exercise (not too much, not too little) can help to reduce the pain that Alaskan Malamutes feel as they age. Owners who have enough space in and around their house for their Alaskan Malamutes will usually be great fits for this breed. 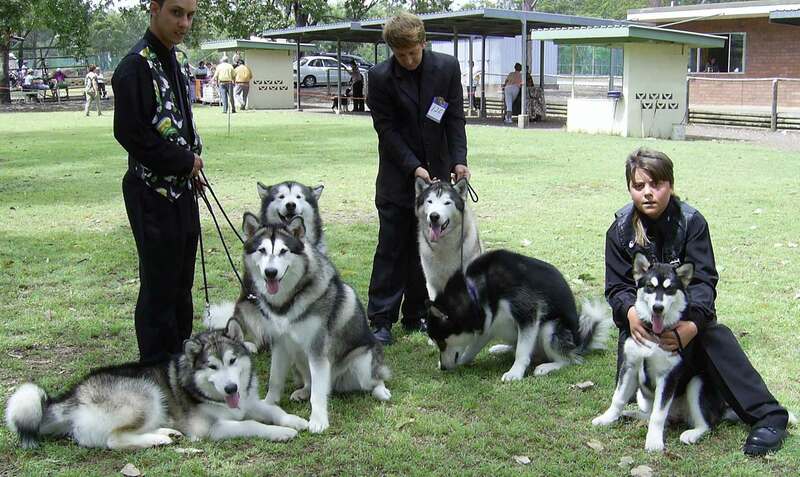 They like to roam around during the day, so they are happiest when they have that space available to them.Anyone who has experience training an intelligent, large breed like the Alaskan Malamute will usually be the best match because they are even tougher to train than other breeds in that category. Of course, someone who has less training experience but is patient with dogs will usually work great, too. Even though it isn't absolutely necessary, people who live in cooler climates will usually have happier Alaskan Malamutes because they do get quite uncomfortable in warmer temperatures. As long as they aren't run around when it is hot out, though, they will be fine. The absolute worst fit for an Alaskan Malamute is someone who simply doesn't have the time to spend with their pets. The fact is that many people really can't devote the hours each day to make sure that their dogs are happy, so there are actually less good fits for this breed than there are good ones. 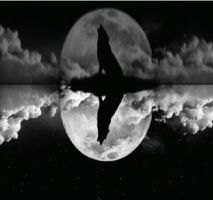 Someone who isn't willing to learn how to train an Alaskan Malamute will end up with a big headache on their hands because an untrained Alaskan Malamute can be destructive and disobedient. 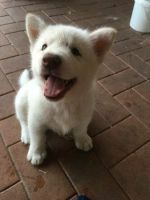 It is best for all dogs to stick with one owner throughout their lives, so if someone doesn't want to learn how to raise an Alaskan Malamute, they should look into getting a less demanding breed. All in all, Alaskan Malamutes usually end up with great personalities to match their fantastic looks. As long as owners take the time to learn how to treat this breed, they will usually end up with a smart and loyal best friend.